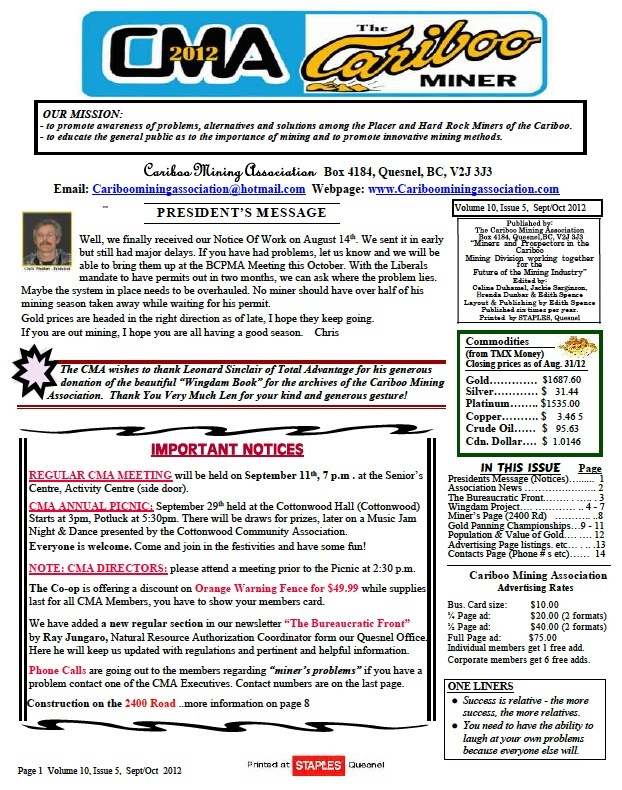 Posted on September 3, 2012, in CMA Newletter The Cariboo Miner. Bookmark the permalink. Leave a comment.